Mercury "Messenger of The Gods" is a Roman god and is melee physical assassin. This guide is made for the conquest map and playing as jungle. For every 1 ft. traveled, Mercury gains a 0,5% physical power bonus on his next basic attack (max 50). Mercury also gains additional physical power equal to 25% of movement speed form items or abilities. In addition to the passive Mercury has a basic attack chain that goes 1 -> 0,75 -> 1,25. First off let’s talk about the passive stacks for each ft. traveled. This is a great passive for a jungler because you are always on moving, so getting some extra damage for moving is perfect. It also means that you should always move even to charge it up, so when you are in the shop or clearing buffs just keep moving. This is also charged with your ultimate Sonic Boom, so if you fully charge your ult you can get some nasty burst damage late game. The part of the passive that gives you extra power from movement speed is just a bonus, it does not make it viable to stack a lot of movement speed on him. But items like Stone Cutting Sword, Wind Demon and Winged Blade gets slightly better on Mercury than on other gods. I would still recommend Warrior Tabi over Talaria Boots for the damage. Mercury moves in the blink of an eye, dealing one melee attack to every enemy within the target area. Each hit may trigger item effects for basic attacks, and can critical hit. The key part of this ability is that it can apply on hit effects, especially critical hit. Combining this with Deathbringer and Wind Demon makes it deal a ton of damage. You can also use it to reset your attack chain (although it has a fairly long animation), this would be AA -> Made You Look -> AA. It gives you a tiny bit more burst damage. I start with a point in this to clear camps and I max this first for the extra damage and the increased radius. Mercury passively gains movement speed. When this ability is activated, Mercury increases his attack speed and is immune to slows for the duration. The passive movement speed you get from this ability is decent 10% movement speed = 2,5% physical power. The attack speed buff is the main power of this ability though 70% attack speed for 5 seconds. With Asi and Wind Demon you have 2,48 Attack speed and if you get a critical hit you are already over the attack speed cap. So don't build more attack speed on him. The slow immunity is great for chasing and to counter slows if you are trying to get away. It is very useful against Poseidon and his Whirlpool -> Release The Kraken! combo for example. It is also a very useful skill for resetting your attack chain because it has no animation. So AA -> Maximum Velocity -> AA is a great way to improve your burst damage. I normally put a point in this at level three and max it second. Mercury dashes forward, knocking aside minions, grabbing the first enemy god he encounters and spinning them. The enemy god takes damage until the effect ends, and Mercury throws the god in the direction of his choice. This ability lets you set up your damage and if you use it correctly it is your most deadly ability in your kit. You can use it to set up for your own damage by throwing an enemy into a wall then instantly just start destroying them with AAs or you can use it to set up your teammates by throwing them into your team. It is also a decent escape if you are in danger. I normally put a point in this at level two to help with clearing and max it last. This ability is great for ganking, you can charge it up in the jungle and then just dash into the lane you are ganking. Just make sure you don't charge it to far and that you don't hit a wall or something. You can also use it to engage a team fight and destroy their backline before anyone knows what happened. It is also great for escaping. I always put a point in it at level five then I prioritize this after Made You Look. A must have item for all junglers both for sustain. The 10 penetration you get for evolving the item is also nice, but don't be afraid to replace it as soon as you don't need the sustain and selling it can get you an important item. Just some extra movement speed and to let you get a heads start on Warrior Tabi because it is so important for Mercury. But if you want some extra damage early on you can go for Katana, the drawback from building Katana is that it builds into Stone Cutting Sword which you do not want that early. So it is a 700 gold investment in an item you wont finish before mid/late game. But it could help you secure a first blood and it helps with your clear. Both work fine in my experience. Two healing potions is normally enough for me but you can go for three if you want to. But I like saving the 50 gold. Again I prefer going just two, but you can go three if you want to. Mercury is pretty mana hungry early so going three is definitely not a bad idea. You can also switch the Mana Potions out with Multi Potions if you feel like it. The early damage from warior tabi is perfect for Mercury just to rocket launch you into the game. I definitely recommend this over Talaria Boots for the extra damage, but if you feel like you need the movement speed I don't hate the Talaria pickup. Critical hits is your main damage source so Deathbringer is perfect. I normally go this as my second item (after Warrior Tabi). If the game is going really really bad you might be better of with Stone Cutting Sword. to make you deal insane damage before anyone has built much protection. But you can also go for Asi if you are having problems staying alive or Stone Cutting Sword. If you have any questions about the situational items feel free to leave a comment or send me your questions directly to me by PM. In this chapter I will just touch on some basic ways to utilize your kit, hopefully you can pick up a a few tips you didn't already know about. 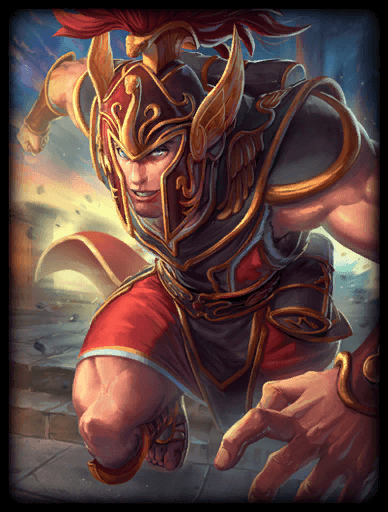 Mercury is a pretty straight forward god though an you do not need to be a mechanical mastermind to play him well. Not a super complicated passive, but there are a few tips that can come in handy bothe for the passive and his attack chain. If you do not know what auto canceling is DukeSloth has an informative video on it. You have to abilities that can be used to auto cancel, Made You Look and Maximum Velocity. Using Made You Look is not very beneficial, but it gives you a bit more burst when you have low attack speed. Using Maximum Velocity is very useful though. Auto canceling while you have Maximum Velocity active is not worth it. It is also not worth using Made You Look for auto canceling when you have Asi and Wind Demon passive active. Another super unnecessary tip for clearing the first jungle camp is to attack until you have your third swing before it spawns. Then start of hitting it with 1,25 damage as it spawns then use Made You Look to cancel the animation from the 1,25 punch and finish off the camp with AAs. This will make your clear a tiny bit faster. When it comes to the passive the most important thing to do is never stand still. What ever you are doing you should also be walking (just strafing with "a" and "d" or back and forwards with "w" and "s"). This is important to remember when clearing camps and when you are waiting to gank someone especially. You should also remember that Sonic Boom and Special Delivery will charge your passive. The extra power is based on a % of your physical power so this makes for a larger impact the more power you have. When it comes to the part of the passive that converts movement speed into power you just have to remember that the speed buff gives you power. So it is even more important for Mercury than for other junglers. This is a pretty straight forward AOE damage ability, so not really any tips or tricks for this ability. Very basic ability the only thing to think is in the early game, the area is really small so you need to aim it properly to hit all the jungle minions in a camp. The same goes for fighting, you need to take care when aiming it in the start of the game. When you get some points in the ability it is easy to hit. And as soon as you get some critical hit items your damage will be really high as well. This is a great attack speed steroid and slow immunity, as well as a passive movement speed buff. The slow immunity can be used to chase through slows, so if you get hit by a slow remember to use it. If you are ganking an enemy with slows it can be a good idea to save the Maximum Velocity until they use their slow on you. The steroid is also great for auto canceling as I have mentioned earlier. Defensively you want to use it to cleanse slows and run away. This is a normal dash ability with a really strong CC as well. You can throw the enemy in any direction you want, which can be into your team or away from your team if you need to save someone. This one of my favorite abilities for ganking, it is great for burning beads and setting up for damage. So you should always look out for enemies that are pushing to far up their lane. And go gank them even just to burn their beads. The best tip I can give on this ability is to throw your enemy into a wall when you use it. That way you can instantly start attacking the enemy after your throw instead of having to walk up to them before you start attacking them. It is also a great to use it for finishing off jungle camps. Be careful when using this ability in teamfights because roots you for about 2 seconds while you are throwing the enemy. So if the enemy team decides to just kill you, you might just die instantly. But it is a great way to mobilize an enemy and set your team up for some easy damage. This is a great ability for ganking and there are a few ways to go about it. The best and easiest way to use it is to charge it from behind your own tower and just dash straight up the lain you are ganking. That way you avoid walking through any ward coverage. You can also charge it through in the jungle and dash into lane that way, but you run the risk of being spotted on a ward. The most important thing to practice with this ability is to charge it so that you just barely hit the enemy you are trying to hit and stop right behind them. It is also important to remember that it will charge your passive when you use it. In teamfights this ability can be a great for initiating the fight. If you use it for initiating the fight you want to try an hit as many of the enemy team as possible, but you also want to make sure to reach at least one of the enemy carries. In this chapter I will go through what you should look to do during the different stages of the game as Mercury. In the early game you want to start clearing your speed buff with the mid laner, then move to clear the blue buff for your solo laner before you clear the exp camp. Then you move towards the mid lane and see if you can get a good pull on the enemy mid laner with Special Delivery. If not you just try and do the the mid camp on the side you are on, then clear the mid wave and go for the opposite mid camp. When you are done in mid lane you can rotate to the duo lane if the buffs are up, if they are down you can try to invade the enemy back camps. If the buffs in duo are up you should try and go for a gank in duo lane as well. When you have 1100 gold you should back and get your Warrior Tabi. After finishing Warrior Tabi you should hit level 5 soon. As soon as you hit 5 try and gank someone. Preferably the solo lane because your speed buff is about to re-spawn. From there on it is just normal jungle stuff. Clear your buffs and try to invade when ever you get the chance, Sonic Boom is great to get out of danger with if you get caught. Try and gank when ever you got the chance, Special Delivery is deadly early game and will force your enemy to beads. Also try to use Sonic Boom on cooldown unless you are going to invade. So the early game is mainly about farming and looking for opportunities to use use Sonic Boom and using Special Delivery to force beads or kill enemies that are out of position. You are now going to start building Deathbringer and Made You Look should be starting to deal some real damage. As soon as you get Deathbringer you should make use of your potential burst damage and focus more on ganking and invading. You should be able to 1v1 the enemy jungle and the enemy mid laner now. When you finish Wind Demon you are definitely ready to fight and should look for every opportunity you can find to fight someone. Just remember that you are squishy so don't get caught out of position. Although you have a huge power spike in the mid game with Deathbringer and Wind Demon you have to remember to farm. If you are late with the Asi purchase you will end up not being able to fight the enemy hunter at all. So in the mid game you want to fight and invade as much as possible, but you still need to farm and always get your speed buff when it spawns. You are also a beast at killing objectives like the gold fury. In the late game you are looking to find someone out of position and kill them 1v1. either by using Sonic Boom or blink and Special Delivery. Then try to start fights with the advantage. When it comes to teamfights you want to go for the enemy backline, which you can easily get to with Sonic Boom. A perfect Sonic Boom --> AA combo can instantly kill an enemy mage or ADC. Then use Special Delivery to re-position yourself or engage on a new target, but you might end up getting bursted down during the ability. So use Special Delivery carefully. As I mentioned Special Delivery can be very dangerous to use in the late game, but if you can catch a carry and through them into a wall you will kill them before they even hit the ground unless they use beads. So if you get the opportunity you should use it. But don't start a fight with trying to throw one of the enemy frontliners. In this chapter I will go through the different combos you should use. But remember to apply the tips and tricks from the Tips and Tricks chapter. This combo is at its best in the jungle where there are a lot of walls to throw the enemy into, but it works well in lanes as well. But you should aim to use it when the enemy is close to a wall. Normally you want to come in from behind and use Special Delivery on an unsuspecting enemy, but you can also use blink or just walk up to them. If it is an enemy without a jump or dash you can start the combo with an AA. If that isn't enough to secure the kill you can finish off with a Made You Look. This combo will force the enemy to use Purification Beads if they have it. The only difference from the basic Special Delivery combo is that you add one more auto cancel in there with the Mad you look. As i mentioned in the Tips and Tricks chapter under Auto canceling using Made You Look for auto canceling is only worth it early in the game. So you should only use this combo early. It is also not good vs enemies that have a jump or dash, then it is better to go the basic combo and follow up their escape with Made You Look. In the early game you will want to try and add some AAs as well especially if there is a big minion in the wave. But in the mid and late game all you want to do is dash through the wave and pull the melee minions back to the archers then Made You Look to hit all the minions. You use Made You Look on the whole camp then you AA down the camp boss until it is low enough for you to kill it with Special Delivery. It might take some practice to know when you can kill the boss with Special Delivery, so I recommend you practice this a bit before you start dashing out of the camp. But the idea is to dash out of the camp with Special Delivery. You want to charge Sonic Boom so that you just barely hit the enemy, then you AA the enemy and auto cancel with Maximum Velocity. This combo is especially useful for when you are trying to pick someone off 1v1 in the late game. With this combo you do not have to be that charge Sonic Boom perfectly because you are going to follow it up with Special Delivery anyways. You can use the Special Delivery to either throw the enemy into a wall to kill the enemy yourself or throw the enemy into your team. I'll do my best to keep the guide up to date, this is just to show what I've added/changed etc. lately. Why build warrior Tabi if Talaria boots give Mercury a better powerspike? They just solely nerfed Mercury on the same patch as they buffed Talaria as it was a indirect buff to him. I don´t see a reason to build Warior Tabi. 130417 SugarB1101 Why build warrior Tabi if Talaria boots give Mercury a better powerspike? They just solely nerfed Mercury on the same patch as they buffed Talaria as it was a indirect buff to him. I don´t see a reason to build Warior Tabi. Unless something has changed, Talaria Boots only give you 20 physical power, while Warrior Tabi gives you 40. Mercury doesn't really need the extra MS, what-with the speed buff and [[maximum velocity. Sure Fastest God Alive gives him power based on his MS, but 25% of 25% is 6.25, which I think the game rounds down to 6. 130420 Gulfwulf Unless something has changed, [[talaria boots]] only give you 20 physical power, while [[warrior tabi]] gives you 40. [[Mercury doesn't really need the extra MS, what-with the speed buff and [[maximum velocity]]. Sure [[fastest god alive]] gives him power based on his MS, but 25% of 25% is 6.25, which I think the game rounds down to 6. The movement speed calculations actually work a bit differently than other stats. Mercury starts out with a base movement speed of 381. Therefore, an 18% increase from Warrior Tabi would be 381 * 18% = 69. So although it says that boots gives 18% movement speed, it isn't giving 18 movement speed. Rather, it is basing the percentage off of your base movement speed. Then you take 69 * 25% (from Fastest God Alive) = 17. So in total, Warrior Tabi provides Mercury with 57 Power. Talaria Boots provides 25% movement speed which equals 95 movement speed. 95 * 25% = 23, giving the item a total of 43 Power for Mercury. As we can see, Warrior Tabi is the better option in terms of Power. When doing calculations for Movement Speed, it is also important to know that as your movement speed increases, the amount of movement speed you get from additional movement speed will decrease due to diminishing returns. After 457 Movement Speed, any increase has a 20% diminishing return. After 540, this raises to 50%. For more information, check out the Word of Thoth. As a rare Merc player this guide has helped me tremendously and made him one of my favorites this season so thanks for that. I generally go for the alternate start you have listed and run Stone Cutting Sword -> Warrior Tabi -> Rage -> Wind Demon -> Deathbringer -> Titan's Bane and almost always crush it in the jungle. Just wondering if you have any suggestions to improve the build or anything you would do differently. You can get Deathbringer after Rage and instead of Wind Demon get either Asi or Bloodforge if you need it. If tanks aren't a problem then you can replace Titan's Bane with one of those items and keep the other. 130298 Kriega1 You can get [[Deathbringer]] after [[Rage]] and instead of [[Wind Demon]] get either [[Asi]] or [[Bloodforge]] if you need it. If tanks aren't a problem then you can replace [[Titan's Bane]] with one of those items and keep the other. Why is it that I am seeing no mercury jungles in S5? I still don't really know the current meta too well but shouldn't merc be in it because of his strong mobility? 126348 Wolfman5665 Why is it that I am seeing no mercury jungles in S5? I still don't really know the current meta too well but shouldn't merc be in it because of his strong mobility? He was the top pick/ban for a few weeks actually. But then they nerfed Deathbringer (because crit was OP as ****). And after that ppl just stopped playing him. I was just wondering deathbringer 2nd item seems really weird,Im kinda new so can someone explain why is it good to build a late game item really early? 125850 Fuzz759 I was just wondering deathbringer 2nd item seems really weird,Im kinda new so can someone explain why is it good to build a late game item really early? The main reason I had it as second item was that it was stupid broken when I started making the guide. Now I would say you dont have to get it second anymore. If not you can go Stone cutting sword or Wind Demon maybe. But crit is just so important for merc. Because you are going DB and Wind Demon. So I kind of like the early DB more than the Stone cutting. If you are going Stone Cutting you should start lvl 1 katana though and not boots. What you also could do is go Wind Demon first, but Ive felt it is not as impactfull as the DB. 125870 BestMinionEver The main reason I had it as second item was that it was stupid broken when I started making the guide. Now I would say you dont have to get it second anymore. If not you can go Stone cutting sword or Wind Demon maybe. But crit is just so important for merc. Because you are going DB and Wind Demon. So I kind of like the early DB more than the Stone cutting. If you are going Stone Cutting you should start lvl 1 katana though and not boots. What you also could do is go Wind Demon first, but Ive felt it is not as impactfull as the DB. This is a good question, and I'll try to explain when a typically late-game item like Deathbringer can be viable earlier in builds for some gods. So, you know that DB is usually best purchased late. Why? It's expensive (one of the most expensive in the game). Building this can slow you down in the early/middle parts of a build, allowing enemies to get full tier 3 items before you, which can give them a temporary advantage over you. Critical damage is enhanced by multiple things. 1: Power gives you a higher potential base of damage. 2: Penetration allows you to deal more damage via bypassing enemy protections to some degree. 3: Attack speed gives you more opportunities in the same time frame of getting a critical hit. If you get DB early in a build, it's likely you have very little of the above, which decreases its overall potential. DB enhances crit damage, but is often best as the 2nd crit item in a build. Rage, for example, is not only cheaper, but once evolved, gives you an incredible 40% crit chance...getting DB after that means it's going to have that much more of an opportunity to crit. This sequence gives you a smoother progression of build and damage potential, while not holding you back too long due to price and other factors. Artemis gets 0-15% crit chance as her passive...15% + the 25% that DB provides is a nice 40% crit chance, and can give her an early boxing advantage. Jing Wei's Explosive Bolts gives her up to 20% crit chance for 3 basic attacks after activating the ability...similar to Art, the crit chance in her kit is in some ways like having a 1st crit item, giving more chance for DB's crit damage boost to take effect. Ne Zha automatically crits (with proper use of timing) in his ult. Flaming Spear also gives 15% crit chance while active. He's perhaps the best example of a god that can use an early DB, as the basically ensured crits in his ult mean DB will provide extremely reliable enhanced damage. And the one in question here, Mercury can take advantage of an early DB in a couple of ways...1, his Made You Look is a great poke tool, and can proc basic attack functions including crits. So, if you can get lucky, you get a nice boost of damage from that. In addition, a fully stacked Fastest God Alive provides a 50% power boost...this is huge for his damage potential (and is also a reason you build him for very high power in a glass cannon build rather than as a bruiser with protection items). If you get lucky with a DB-enhanced crit on that basic, you have MASSIVE damage potential. Finally, on consecutive hits, he can activate Maximum Velocity, which provides a large attack speed boost, so if he's boxing an enemy, he'll get more chances to get crits off. It's questionable if Deathbringer is best as a 2nd item, but it IS viable being built earlier in a build than normal. 125867 Branmuffin17 Hey Fuzz, This is a good question, and I'll try to explain when a typically late-game item like [[Deathbringer]] can be viable earlier in builds for [i]some[/i] gods. So, you know that DB is usually best purchased late. Why? [list][*]It's expensive (one of the most expensive in the game). Building this can slow you down in the early/middle parts of a build, allowing enemies to get full tier 3 items before you, which can give them a temporary advantage over you. [*]Critical damage is enhanced by multiple things. 1: Power gives you a higher potential base of damage. 2: Penetration allows you to deal more damage via bypassing enemy protections to some degree. 3: Attack speed gives you more opportunities in the same time frame of getting a critical hit. If you get DB early in a build, it's likely you have very little of the above, which decreases its overall potential. [*]DB enhances crit damage, but is often best as the 2nd crit item in a build. [[Rage]], for example, is not only cheaper, but once evolved, gives you an incredible 40% crit chance...getting DB after that means it's going to have that much more of an opportunity to crit. This sequence gives you a smoother progression of build and damage potential, while not holding you back too long due to price and other factors. [/list] Now, getting DB earlier in a build, and/or as the first crit item, can work for some gods...usually, it's due to something in their kit giving them enhanced use of crit items. Some examples: [list][*][[Artemis]] gets 0-15% crit chance as her passive...15% + the 25% that DB provides is a nice 40% crit chance, and can give her an early boxing advantage. [*][[Jing Wei]]'s [[Explosive Bolts]] gives her up to 20% crit chance for 3 basic attacks after activating the ability...similar to Art, the crit chance in her kit is in some ways like having a 1st crit item, giving more chance for DB's crit damage boost to take effect. [*][[Ne Zha]] automatically crits (with proper use of timing) in his ult. [[Flaming Spear]] also gives 15% crit chance while active. He's perhaps the best example of a god that can use an early DB, as the basically ensured crits in his ult mean DB will provide extremely reliable enhanced damage. [*]And the one in question here, [[Mercury]] can take advantage of an early DB in a couple of ways...1, his [[Made You Look]] is a great poke tool, and can proc basic attack functions including crits. So, if you can get lucky, you get a nice boost of damage from that. In addition, a fully stacked [[Fastest God Alive]] provides a 50% power boost...this is huge for his damage potential (and is also a reason you build him for very high power in a glass cannon build rather than as a bruiser with protection items). If you get lucky with a DB-enhanced crit on that basic, you have MASSIVE damage potential. Finally, on consecutive hits, he can activate [[Maximum Velocity]], which provides a large attack speed boost, so if he's boxing an enemy, he'll get more chances to get crits off. [/list] It's questionable if [[Deathbringer]] is best as a 2nd item, but it IS viable being built earlier in a build than normal. Does that answer your question? I'd be curious to read about your write-ups for all items, not just starter and core. Want to know why you like Asi, and when you'd choose some of your situational items. You have great tips on abilities, ability use, and comboing...solid guide, especially for something "short." 125549 Branmuffin17 I'd be curious to read about your write-ups for all items, not just starter and core. Want to know why you like [[Asi]], and when you'd choose some of your situational items. You have great tips on abilities, ability use, and comboing...solid guide, especially for something "short." I tried adding something on every item but felt it was to much text for no real information. Maybe I should add "feel free tk ask me about the rest of the items in the comment section or just PM me." But I can answer you here and maybe I will add it later. Not likely though, want to keep it "short". Titans bane against tons of protections that would be if the mid has BoV and Nemian, the jungle has 1-2 physical prot items etc for example. And I would switch it for eiter Mantle of Discord od Wind Demon. Winged Blade if slows are a problem, I would pick it up after Deathbringer or Wind Demon and instead of Mantle of Discord unless I also end up needing Mantle of Discord, the Wind Demon or Stone Cutting Sword would have to go. Good vs Poseidon especially. Magi's Cloak is the same as for Winged Blade just vs hard CC ofc. Ne Zha for example. 125560 BestMinionEver I tried adding something on every item but felt it was to much text for no real information. Maybe I should add "feel free tk ask me about the rest of the items in the comment section or just PM me." But I can answer you here and maybe I will add it later. Not likely though, want to keep it "short". [[Titans bane]] against tons of protections that would be if the mid has BoV and Nemian, the jungle has 1-2 physical prot items etc for example. And I would switch it for eiter [[mantle of discord]] od [[wind demon]]. [[Malice]] and [[bloodforge]] if I don't need [[mantle of discord]]. Both are good, [[malice]] is more DPS because of the crit chance, but [[blodforge]] is also insane damage and great sustain. So I would recommend [[blodforge]] [[Winged blade]] if slows are a problem, I would pick it up after [[deathbringer]] or [[wind demon]] and instead of [[mantle of discord]] unless I also end up needing [[mantle of discord]], the [[wind demon]] or [[stone cutting sword]] would have to go. Good vs [[poseidon]] especially. [[Magi's cloak]] is the same as for [[winged blade]] just vs hard CC ofc. [[Ne Zha]] for example. you did go and all but the builds are complete **** you don't need fatalis bc merc already has a fast attack speed soo you really only need 2 attack speed items like qins and malice and with your 2 skill your already doing alot of dmg IF you build it right . Well as you can see I only use 2 AS items Malice and Hastened Fatalis (the first build is a great way for ppl to learn how to play him is all). Why would you not use Qin's Sais you might ask? The simple fact is that you use AAs to 100-0 ppl in like 2-3 hits, so you do not get that much out of the passive before the target is going to die from you next basic anyways (it only helps vs tanks and bruisers basically). It was a really good item on him before they fixed the Made You Look/ Golden Bow combo (if you did not know you could use it on a god and a minion wave and the god would take damage from the skill and Golden Bow procs from all the minions you hit as well. Think 50% of 800 crits and multiply that with x minions easily 2k damage). Why do I use Hastened Fatalis? It is probably just personal preference. The biggest reason is that it makes the active choice a lot easier, because if you do not have Hastened Fatalis you kind of want to have sprint for chasing. But that leaves you a sitting duck for CC. I've just found that Hastened Fatalis combined with Malice/ Rage early game just ***** on everyone (because no one has a lot of protections at this stage), most of the time a game is over before you even get DB. And Hastened Fatalis combined with beads and Bloodforge just makes you devastating in teamfights and super slippery. Damn dude! you commented one of my posts ( SMITE JUNGLERS! ) and i couldnt resist to look at this mercury build! ITS AWESOME, so detailed! very very good guide man!